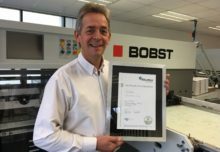 Schreiner MediPharm, a Germany-based global provider of specialty pharmaceutical labelling solutions for over 65 years, has introduced labels that protect liquid medicines in transparent glass containers from damaging UV and light exposure. The company’s newest portfolio includes three novel protective labels at various safety levels that safeguard against UV and light, while also allowing caregivers and users to ensure the liquid inside is in its intended, original condition. Light-sensitive substances are often filled into brown glass vials to protect them against UV irradiation and light. In that scenario, an inherent disadvantage is that the original colour of the preparation is no longer discernible, and the medicine cannot be visually inspected for particles or colour changes before dispensing. Conversely, while transparent glass containers permit liquids to be inspected, they allow light and UV rays to pass through. 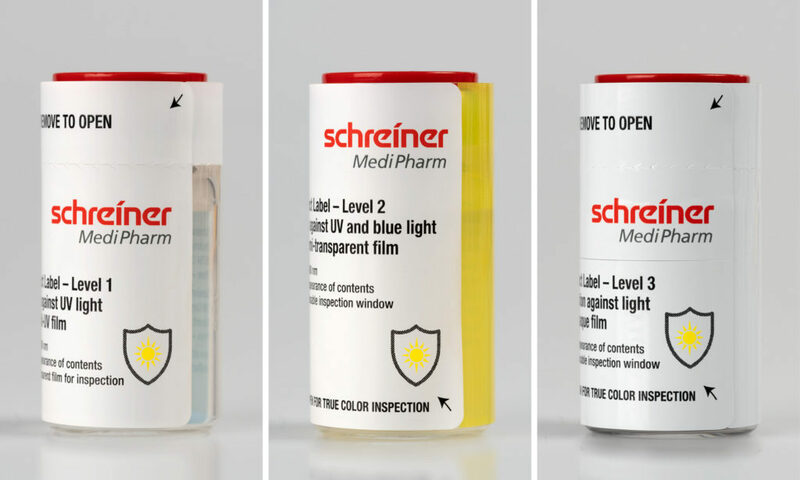 The specialty labels from Schreiner MediPharm for UV and light protection are designed for three safety levels: Level 1 labels have a transparent inspection window with UV protection. At level 2, the labels are equipped with a semi-transparent, coloured window and an inspection window that protects against UV rays and blue light. Level 3 labels consist of an opaque label material for complete light protection; an additionally integrated inspection window allows for viewing the container content. 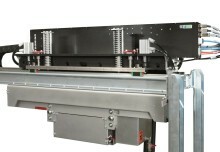 All three label concepts are adapted to the specific requirements of the respective substance, the individual containers as well as to UV and light requirements. Manufacturers of biologics and other sensitive products are therefore able to effectively protect highly sensitive substances against light and UV irradiation, avoiding potential health risks for patients due to medicines that have been damaged by light.